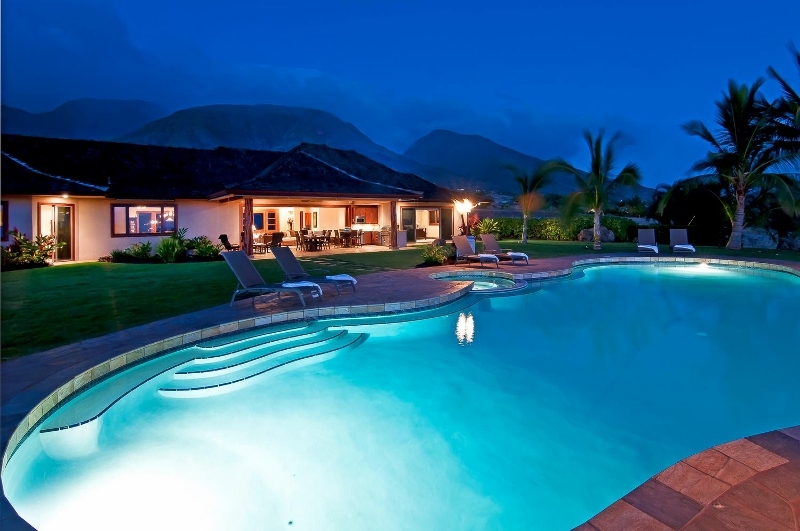 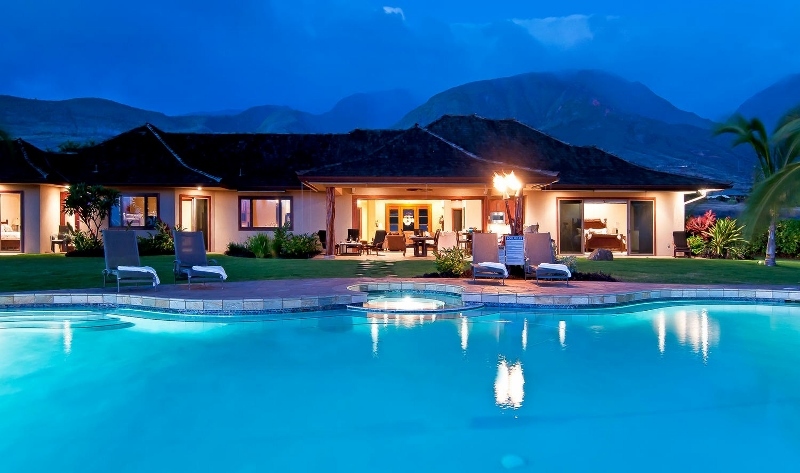 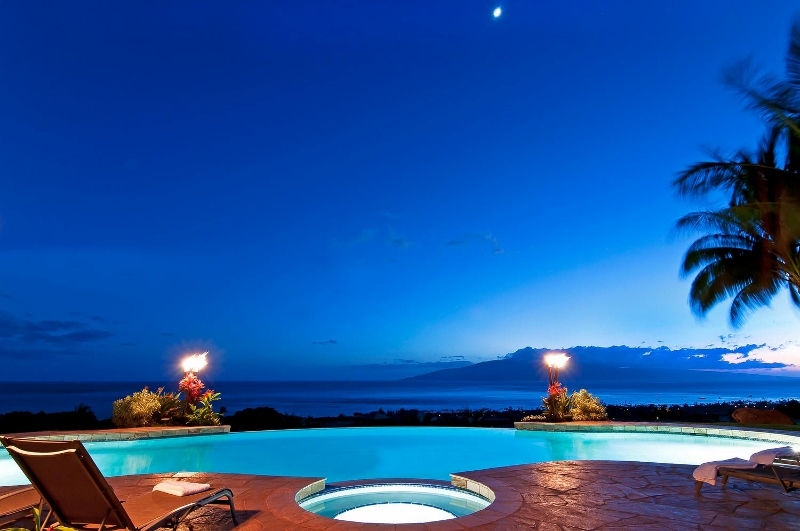 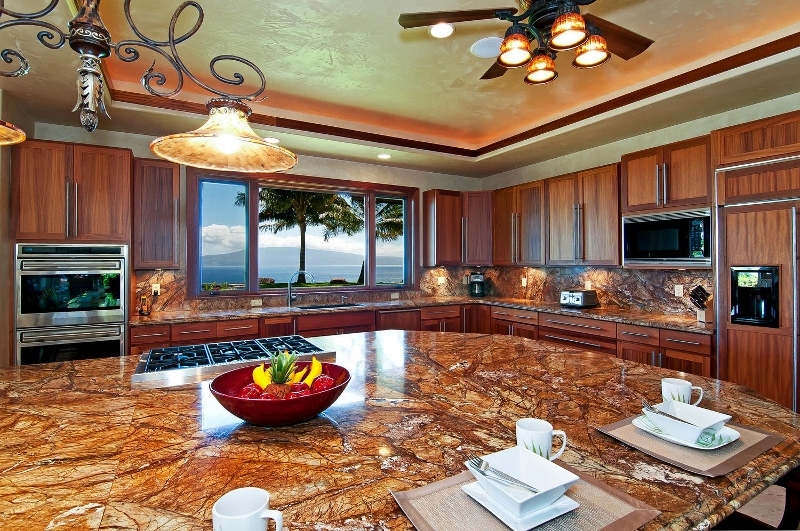 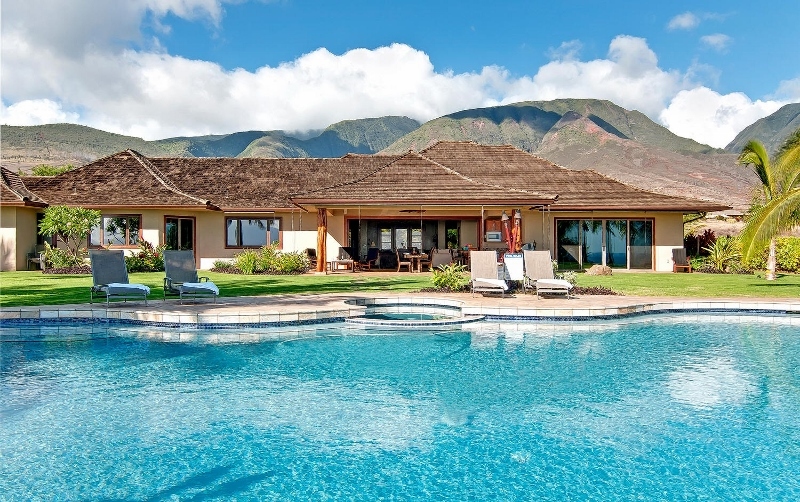 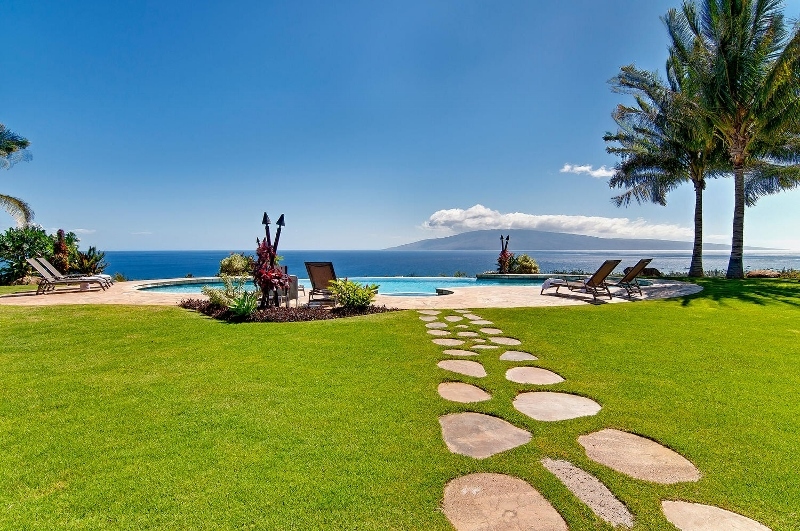 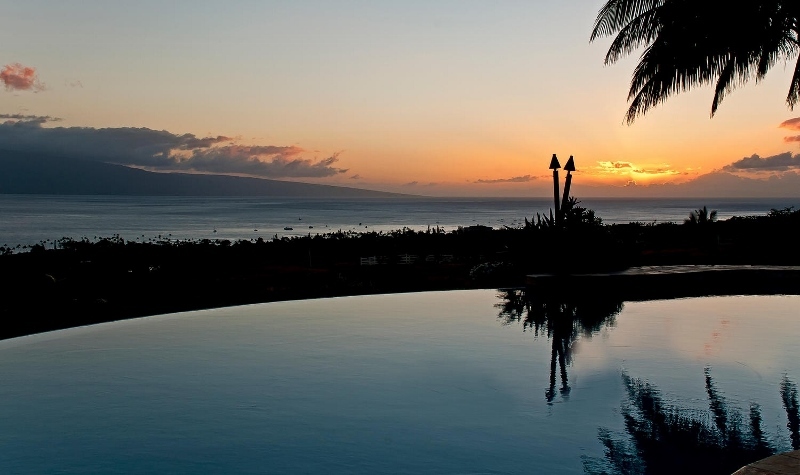 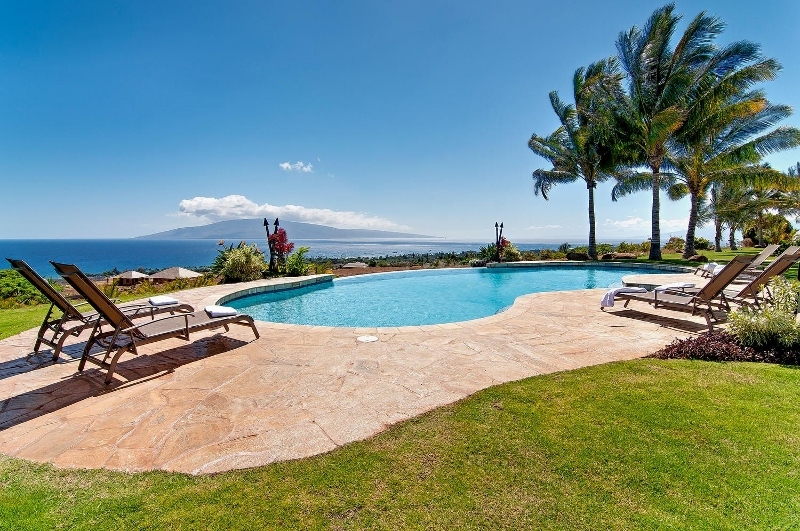 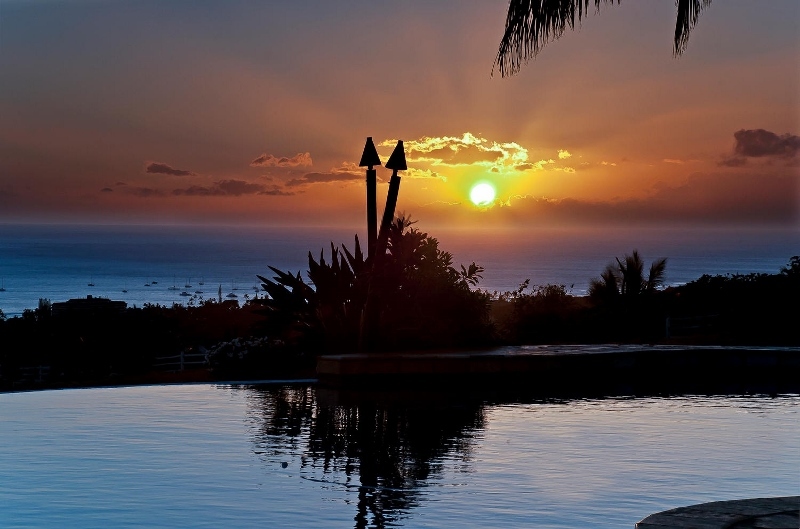 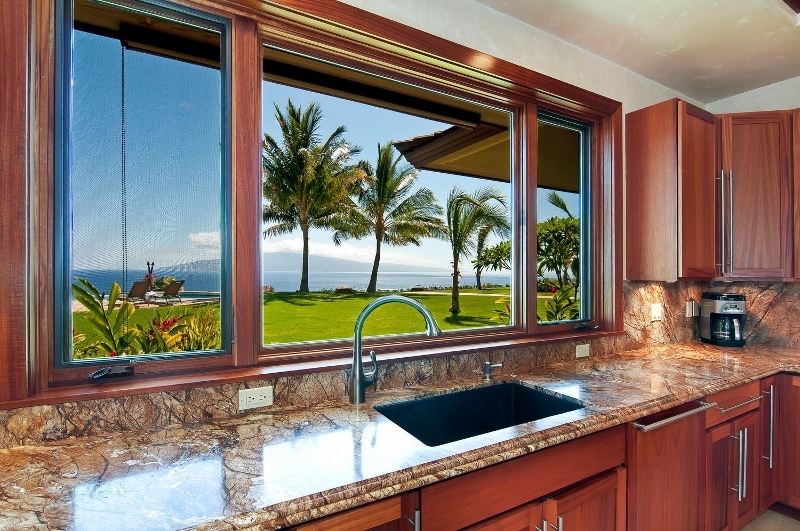 Launiupoko Oceanview – Luxury Vacation Homes, Inc.
Launiupoko Oceanview is nestled in the majestic West Maui Mountains. 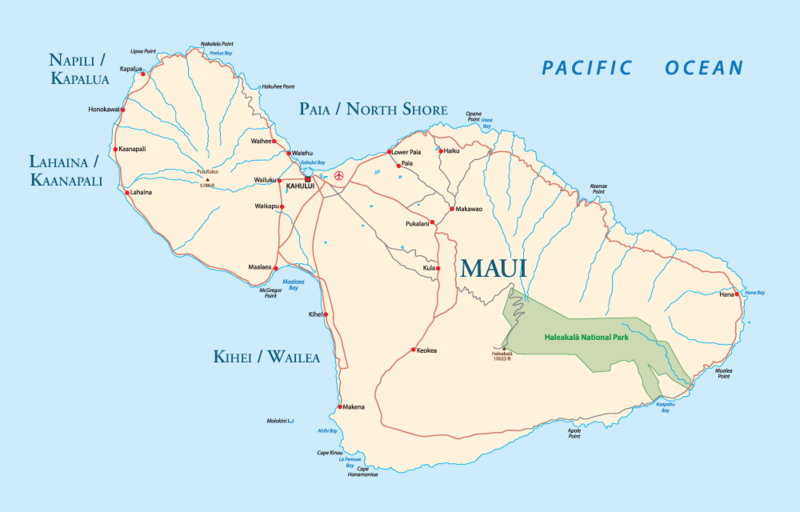 The West Maui Mountains is a large vast of lush valleys and steep cliffs with very few trails to explore by foot. 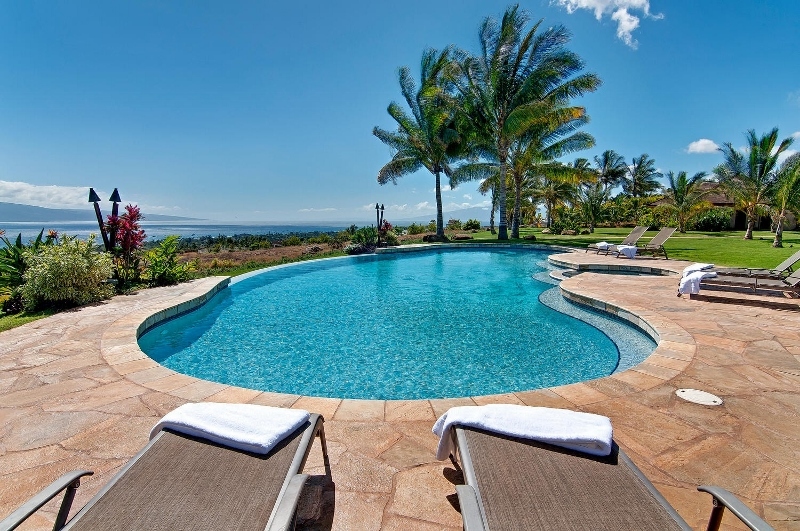 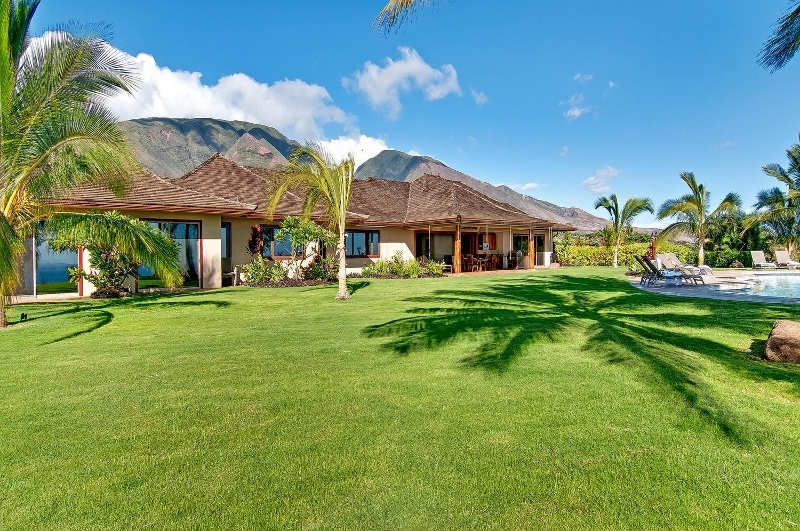 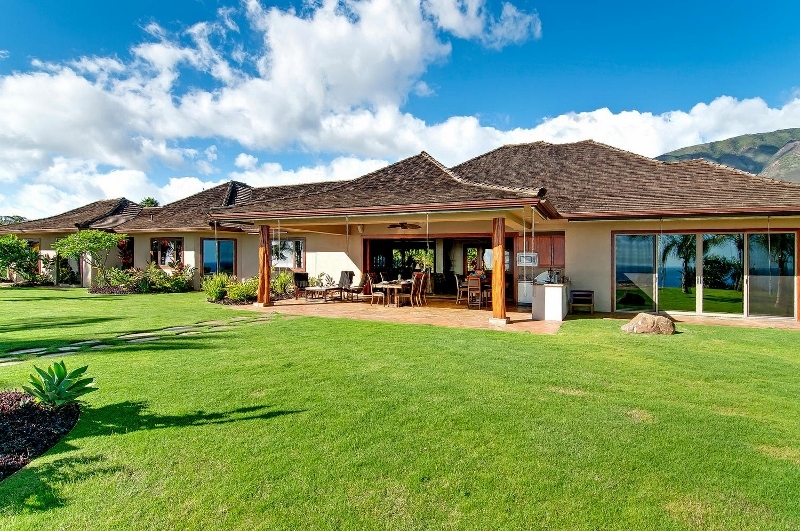 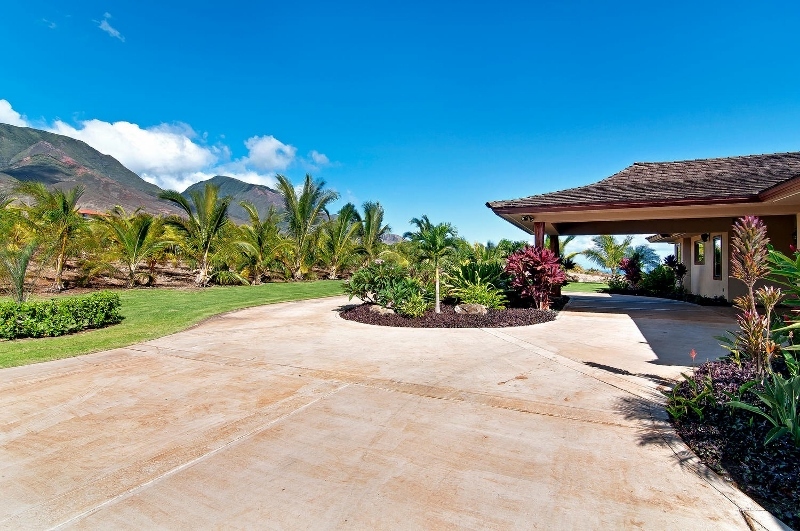 This 5 acre estate is uniquely situated to capture the majestic beauty yet just a short drive to heart of Lahaina town! 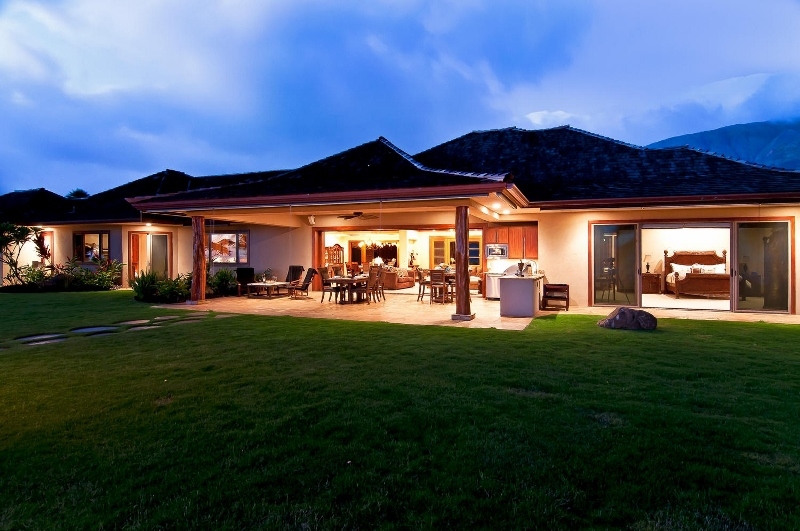 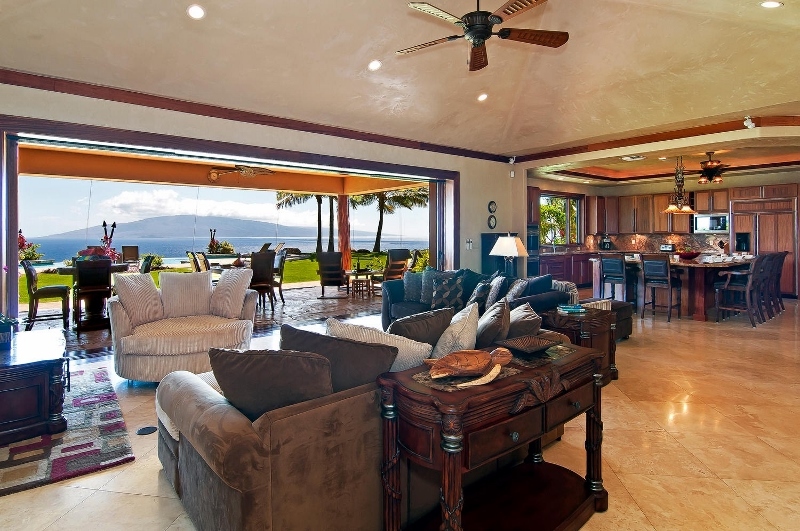 Launiupoko Oceanview is a gated villa offering a generous 4,000+ square feet of living space. 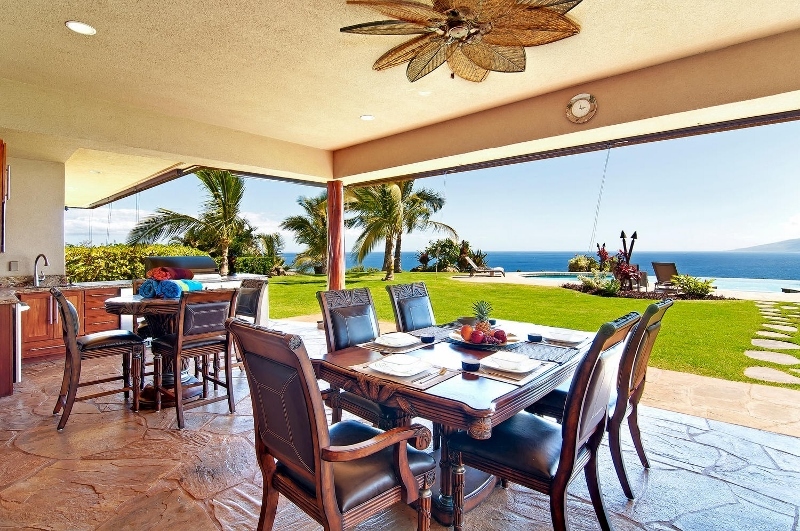 Proceed through the main entry and immediately the serenity of this lavish estate will take your breath away as mesmerizing ocean views are seen in each appointed room. 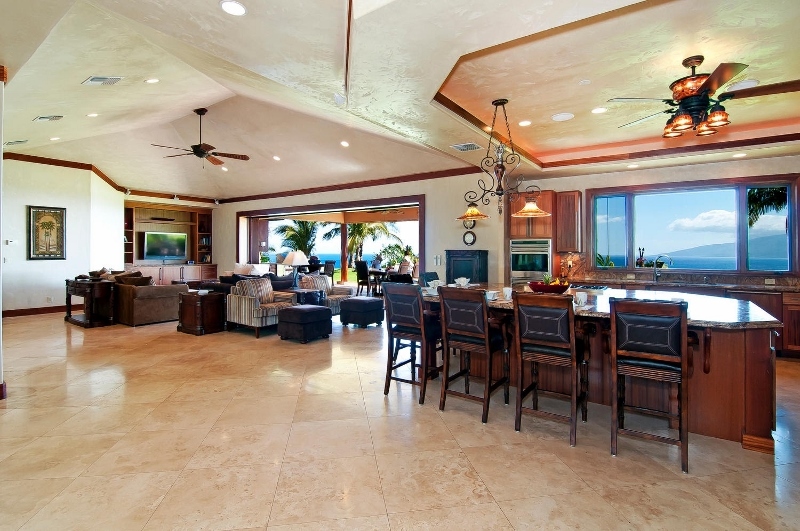 The layout offers a generous and open living area with plush seating for all types of occasions. 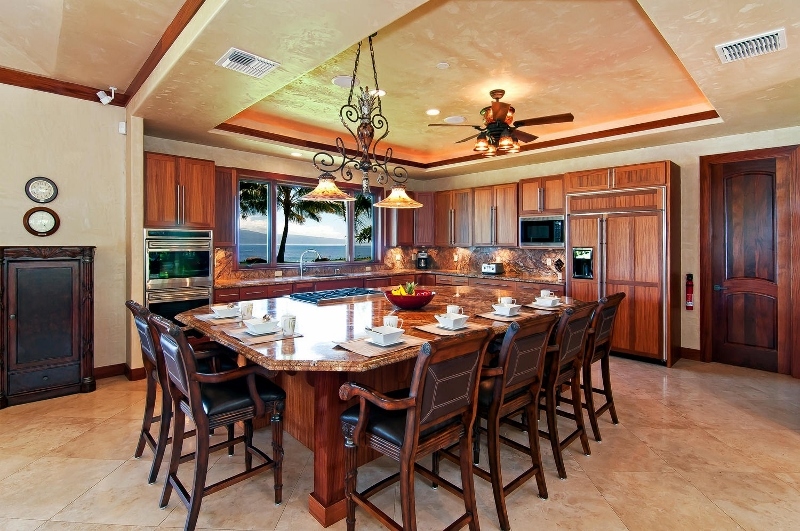 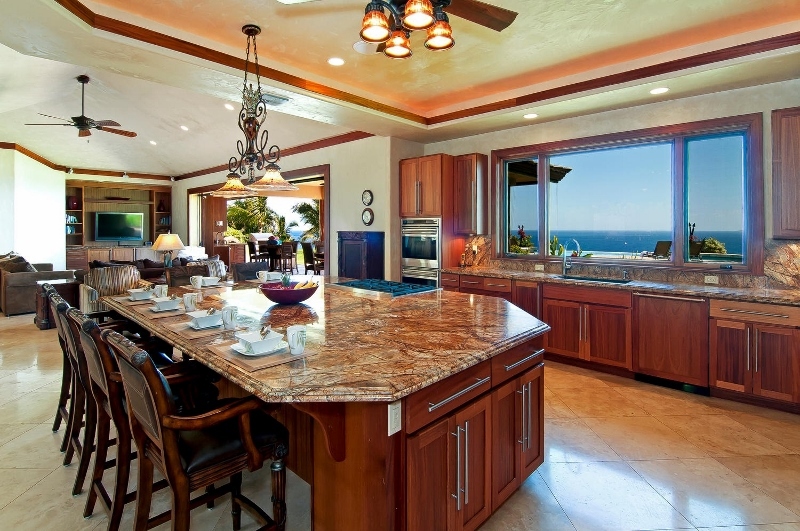 The well appointed and accessible kitchen offers all the needs to create your vision of an island cuisine. 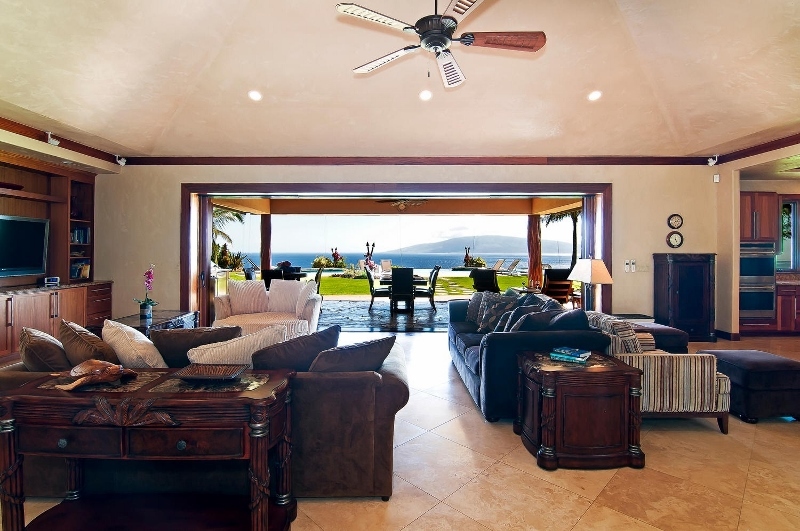 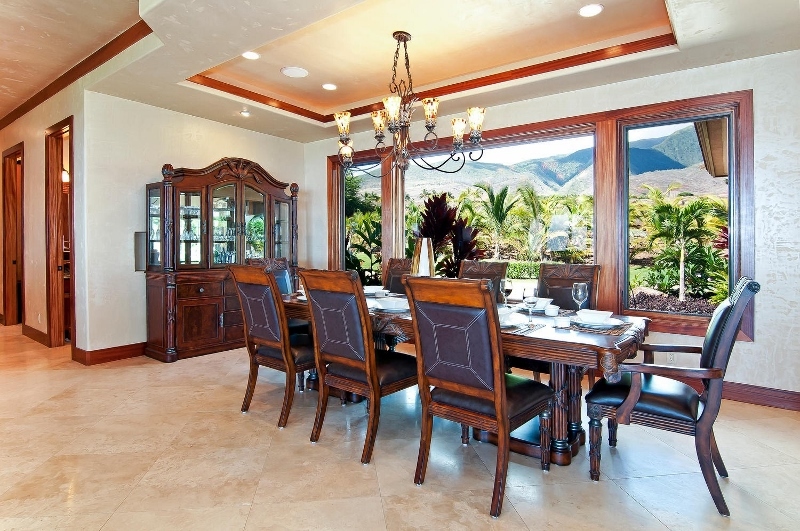 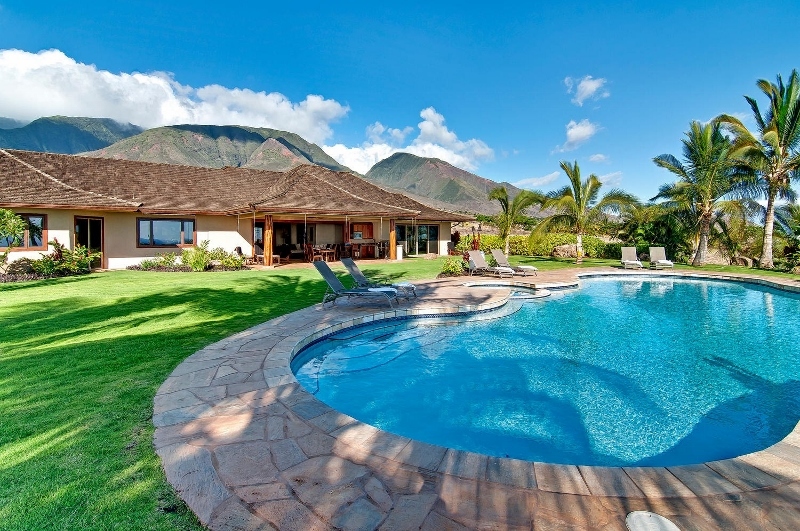 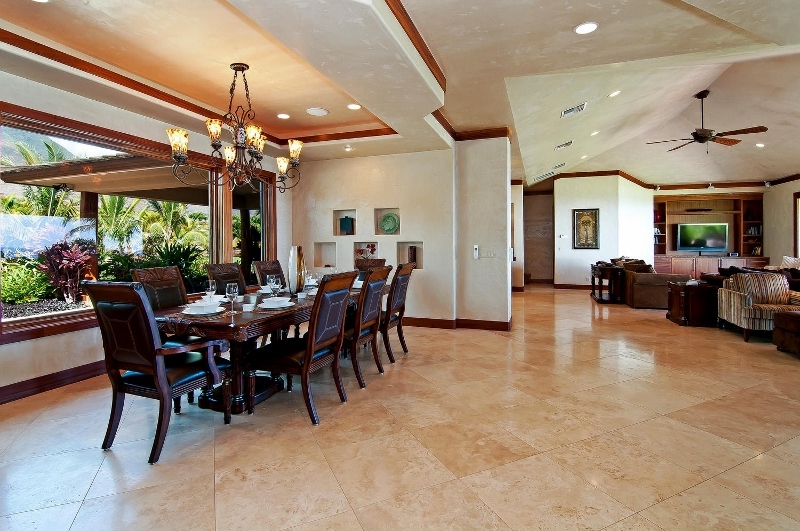 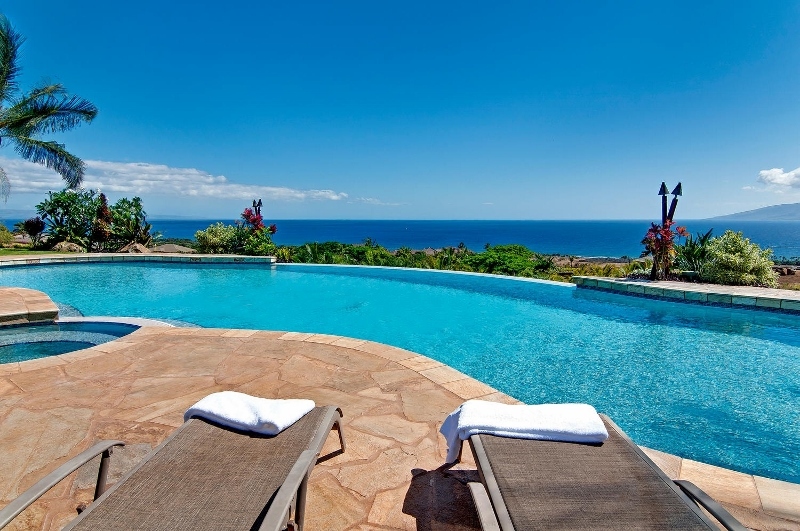 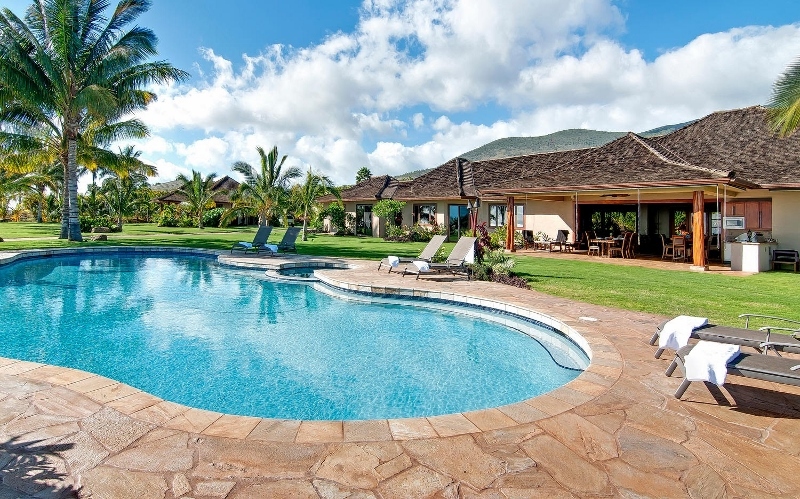 This private Maui Villa consists of 4 bedrooms and 3.5 baths. 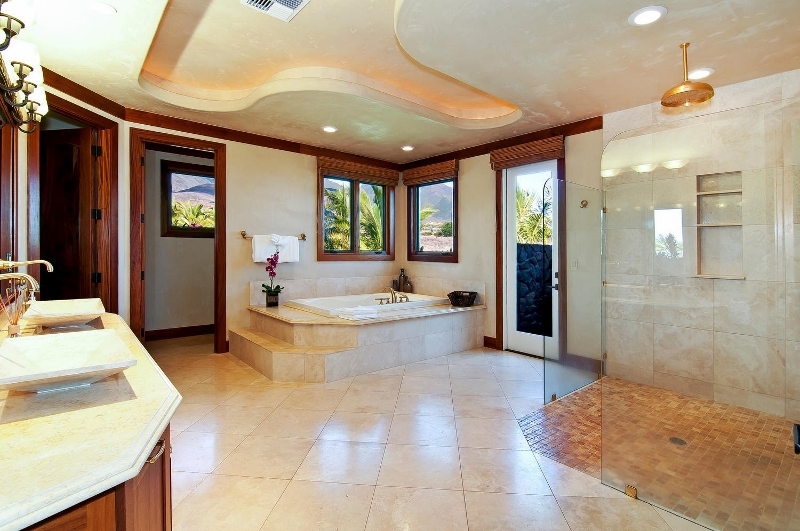 The south wing is the unmistakable master suite and en suite bath. 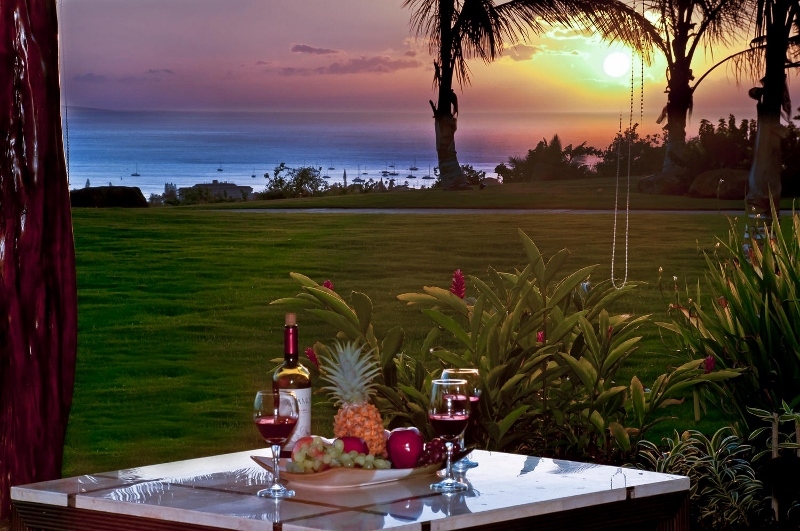 The primary guest will enjoy the lush King size bed, considerable room and compelling features. 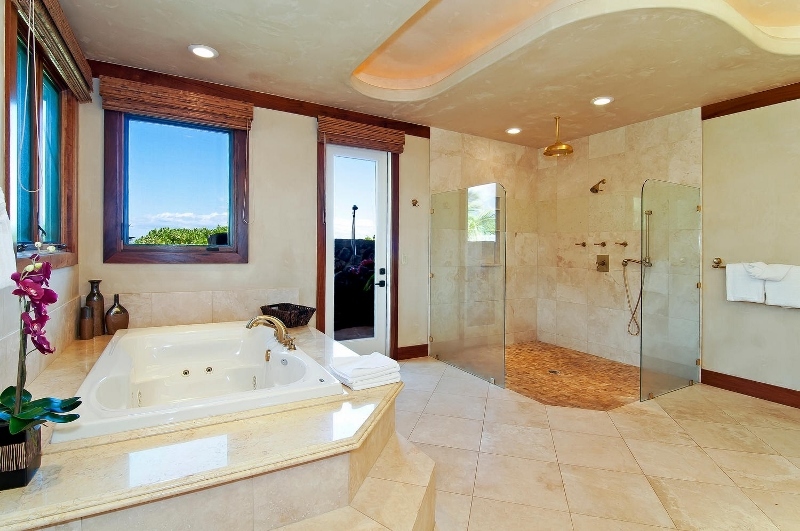 The en suite bath offers a Jacuzzi tub, indoor and outdoor shower, dual vanity and separate water closet. 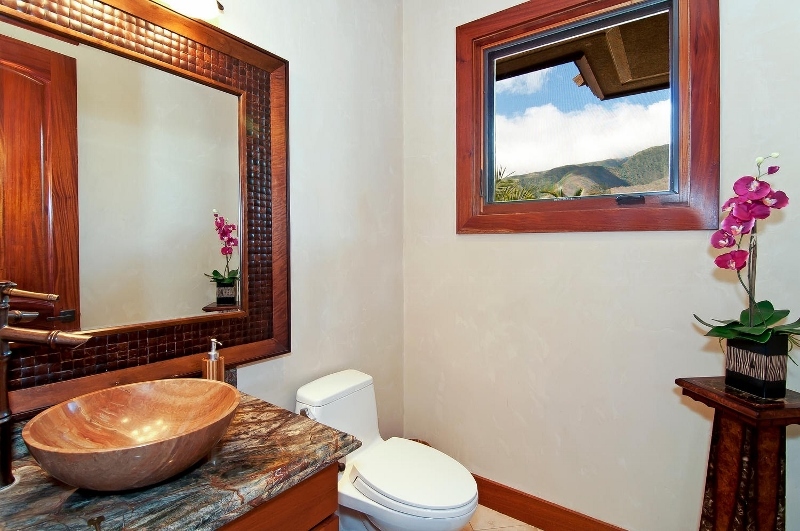 The spacious master closet has a built in vanity desk and mirror. 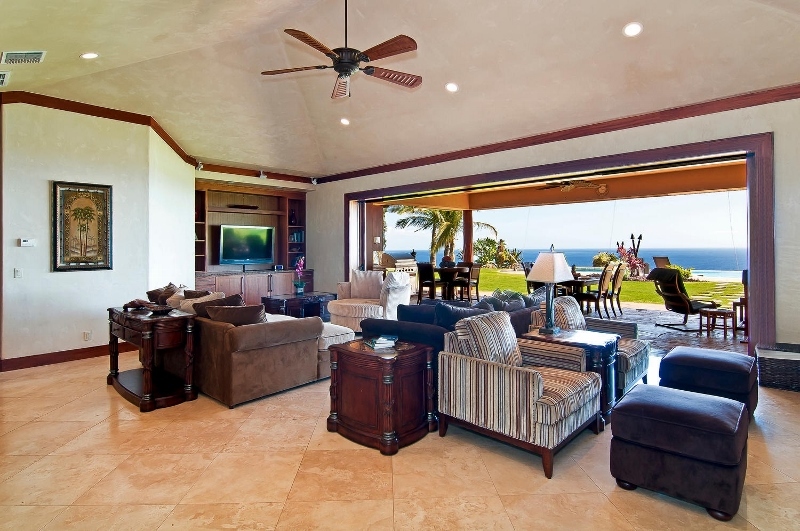 The remaining suites/bedrooms are situated in the north wing. 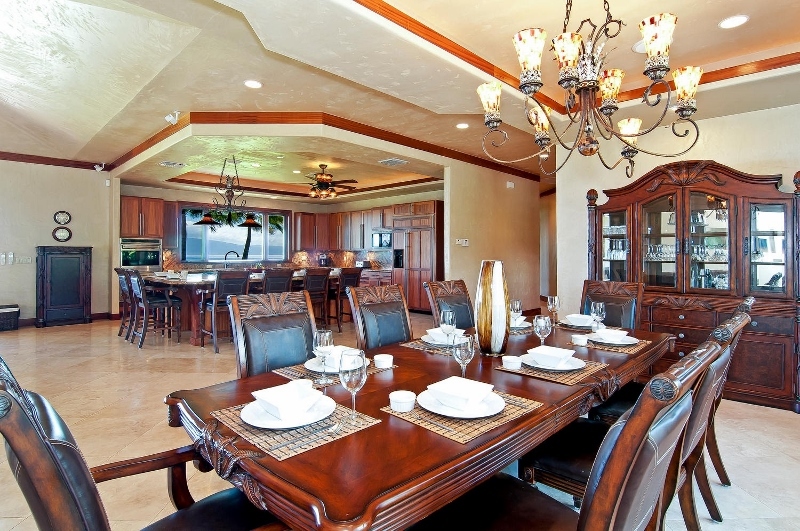 Here you will find each uniquely designed to accommodate all types of groups. 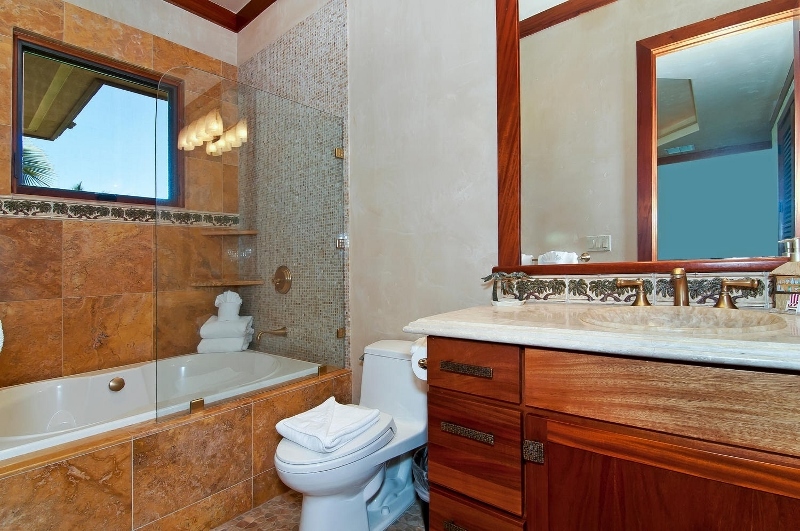 The second suite offers a king size bed and en suite bath. 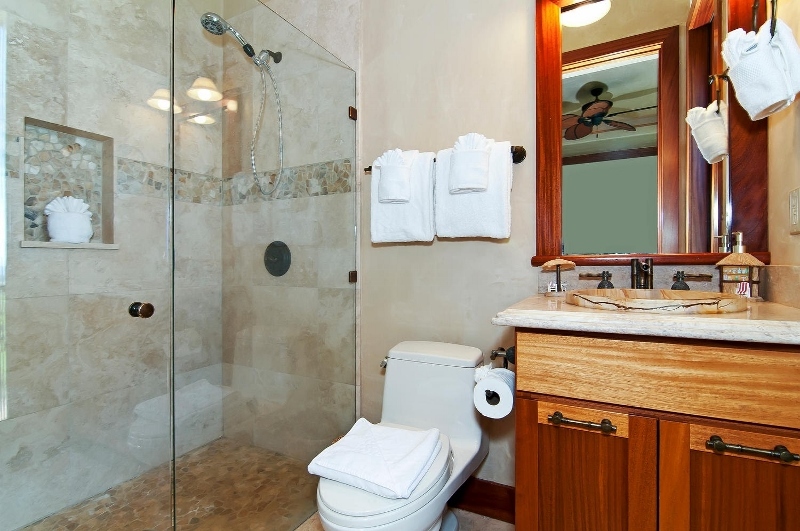 The third suite consists of a queen size bed and en suite shower. 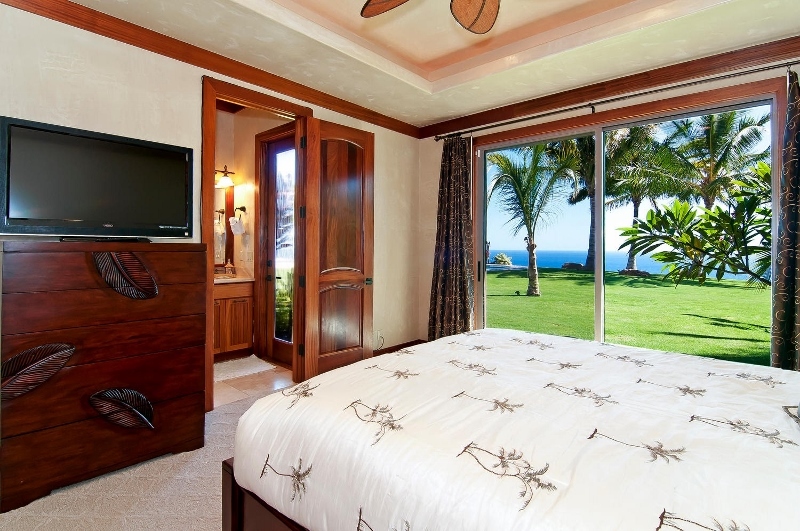 The fourth bedroom consists of 2 sets of bunk beds (top:twin, bottom:double). 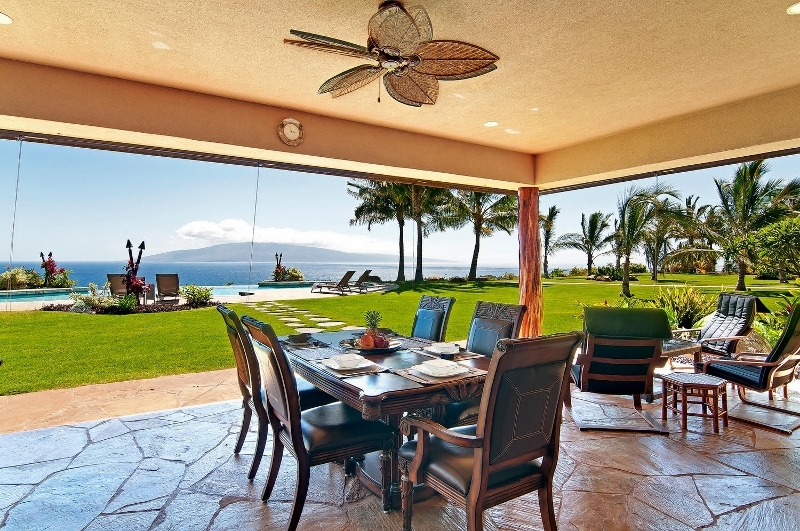 The outdoor living area and features are sure to be the venue of creating some of your precious Maui memories! 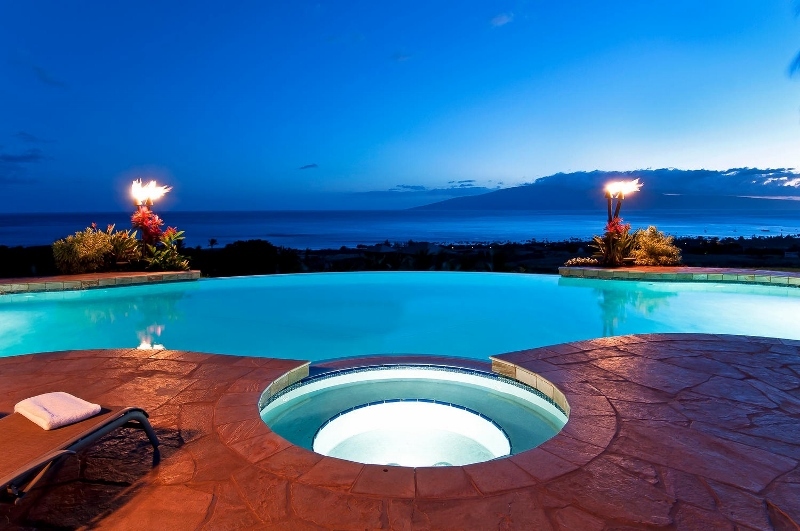 Thus, no feature has been overlooked! 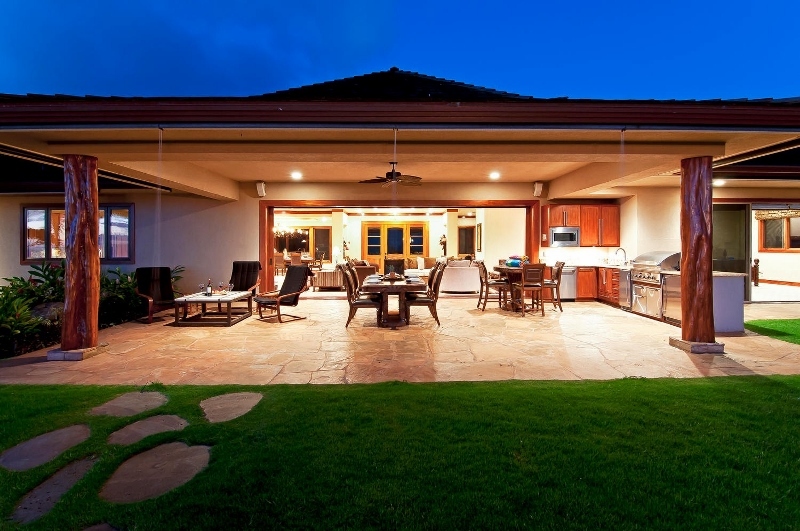 Here you will find a built in BBQ, dishwasher, microwave oven, beverage refrigerator, sink with garbage disposal and pleasing outdoor dining and lounging furniture. 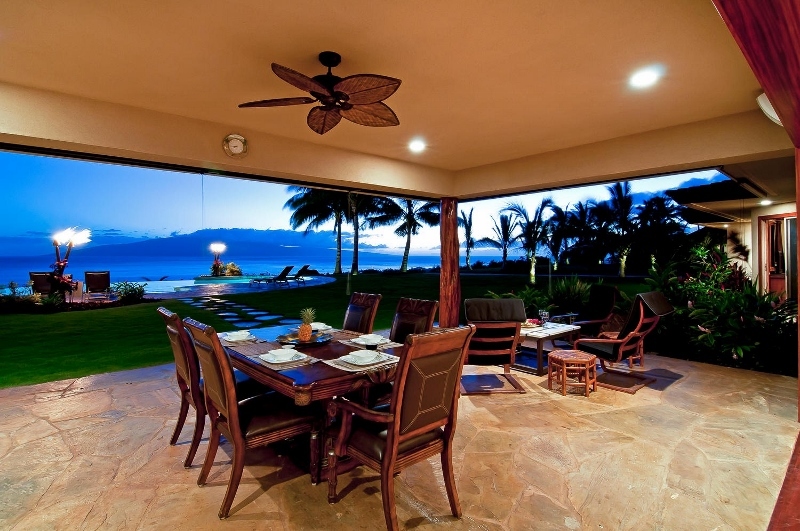 Your considerable infinity edge pool and spa is just steps from your covered outdoor dining area. 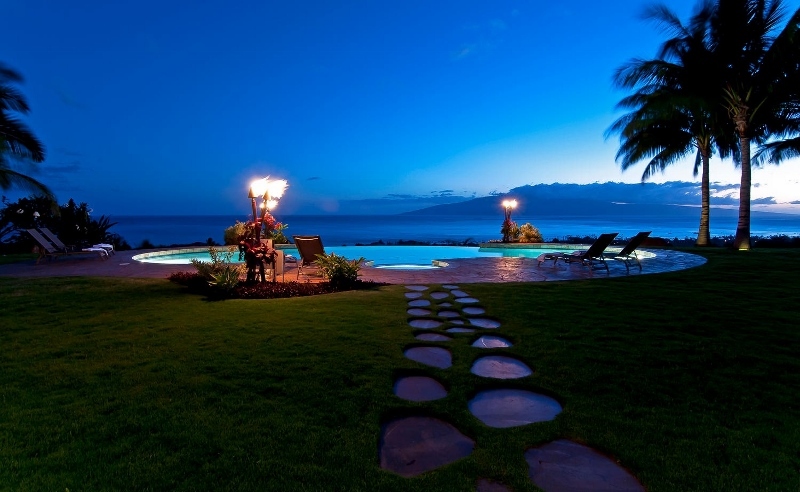 This allows each member to take pleasure in their desired leisure activity whether it be a private moment or a group occasion. 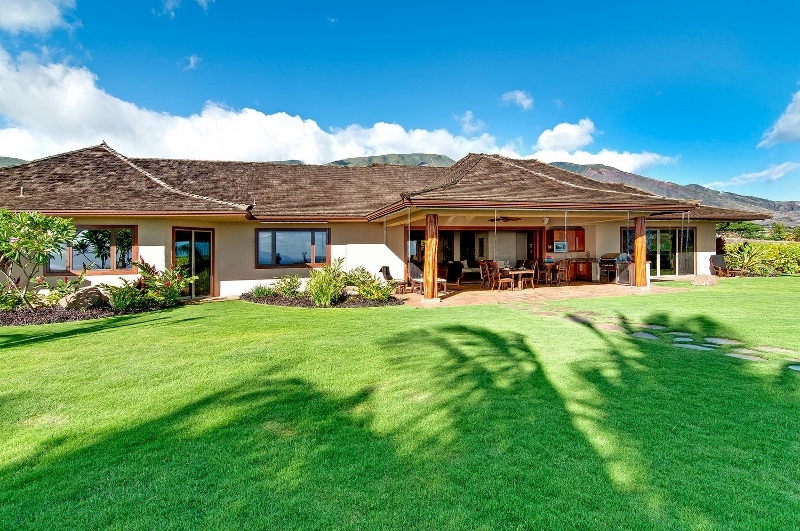 There is a 2br Ohana on the property that may be occupied by the caretaker when the guests are in house, there is a hedge surrounding the Ohana so that both parties have privacy. 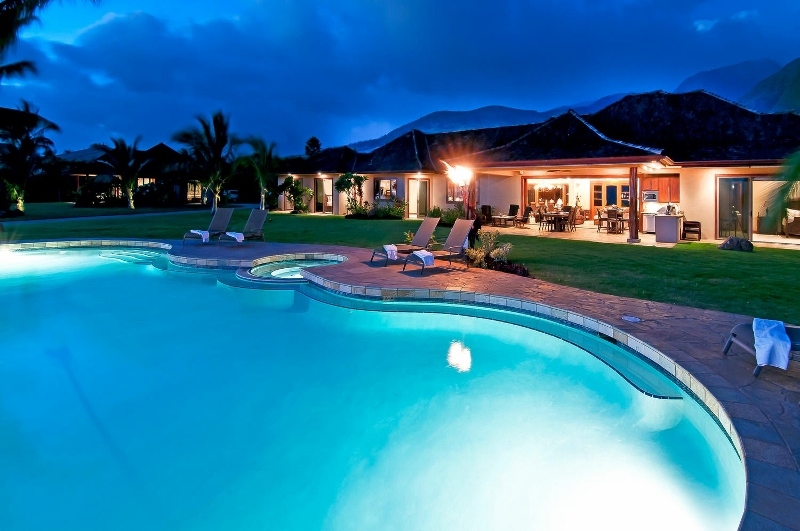 Midstay clean, $312.50 including tax, required for every 10 nights booked. 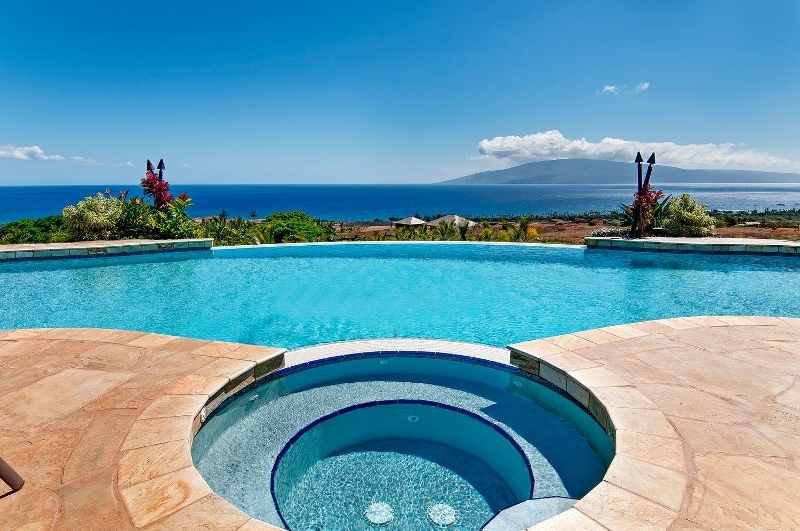 Pool heat available at an additional rate of $200/day.